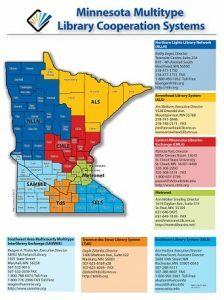 The seven multicounty multitype library systems provide critical links between the academic, public, school and special libraries in the state. Each multitype system responds to the needs of the librarians in its region by providing support services. Key areas in which these systems provide efficient, cost effective services include: consulting; communication; sharing of resources across all types of libraries; ongoing opportunities for professional and staff development; and assistance with strategic planning.